Selfies. One or one hundred—we are guilty of snapping a photo of ourselves. More than just a popular trend, selfies and the selfie culture have become a way of life. With each click of the camera, we get a close-up view of ourselves. As to be expected, we are not always pleased with the image smiling back at us. The selfie craze has brought a number of patients to Virginia Surgical Arts. Dr. Vendetti can help you look and feel your best— whether it is a wrinkle you hadn’t noticed, a dulling complexion, or a missing tooth. Injectable treatments like Botox® and dermal fillers such as Juvederm® are a wonderful way to quickly refresh an aging appearance. Whereas Botox halts muscle movements to target rogue wrinkles, Juvederm works by plumping the skin and filling in fine lines, wrinkles, and facial hollows. A gentle form of exfoliation, microdermabrasion is a great treatment for almost all skin types. By polishing away the uppermost layer of skin, microdermabrasion eliminates texture irregularities as well as softens the appearance of fine lines and wrinkles. Tired teeth can add years to one’s appearance. More than just your smile alone, worn, crooked, or missing teeth can result in collapsed lips, hollow cheeks, and wrinkles. Also causing the skin to sag, many men and women lose their naturally strong facial contours. With the addition of dental implants, Dr. Vendetti is able to restore a solid and supported smile. We understand that the way you look can influence the way you feel. More than anything, Dr. Vendetti wants you to feel comfortable, happy, and confident with your final look. 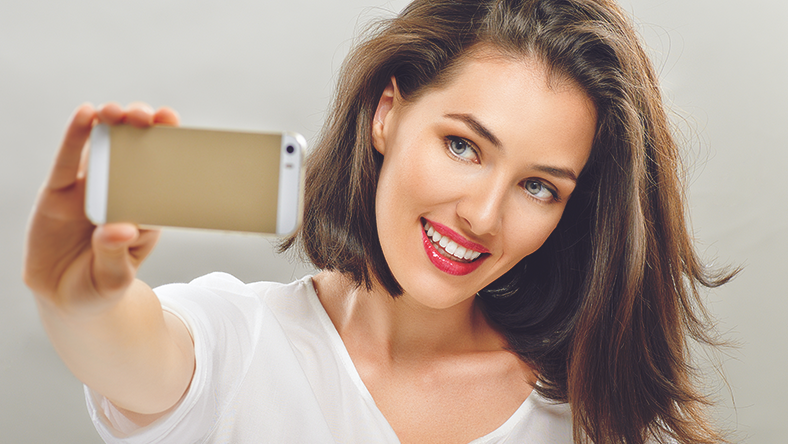 Now… go out and snap a selfie!